Officially called Hong Kong Special Administrative Region of the People’s Republic of China, Hong Kong covers an area of approximately 1095 km2 and is comprised of Hong Kong Island, the Kowloon Peninsula, the New Territories and more than 260 adjacent islands. Hong Kong Island is located off China’s south China coast near Guangdong province and is surrounded by the South China Sea. The New Territories, which are attached to the mainland, account for over 85% of its total territory. 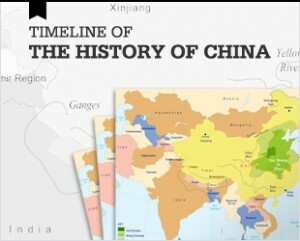 The territory was first conquered by the Qin Dynasty in 214 BCE and then reconquered by the Han Dynasty in 111 BCE. After which, some salt production developed and it became a small fishing base. Hong Kong’s first European contact came in 1513 when the Portuguese began to build local settlements in order to facilitate Chinese trade, yet later conflict between China and the Portuguese led the Ming Dynasty to ban Chinese contact with foreigners. The Qing Dynasty lifted this ban in 1685, but required foreigners to stay in restricted areas, remaining only for the trading seasons, and to trade only in silver. British trade in the region began in 1699; by 1773, it was shipping large quantities of opium through Hong Kong and nearby ports to China. The island of Hong Kong officially became a colony of the British Empire after the first Opium War which ended in 1842. The Opium Wars resulted from China trying to eradicate British opium exports into the country. Eventually fighting broke out, and the British were rapidly victorious. Less than 20 years later, the second Opium War forced China to give up the Kowloon Peninsula to British; the British acquired the New Territories together with 235 islands through the Convention of 1898 which leased the area to Britain for 99 years beginning from July 1, 1898. Through the first half of the 20th century trade and a lively British expatriate life flourished. Japanese took control of the territory in 1941, but Britain resumed control of Hong Kong after the war. During China’s Civil War, Hong Kong’s population surged as refugees, especially industrialists, fled. Since then, laissez-faire economic policies have enabled Hong Kong to develop rapidly and today it is one of the world’s most dynamic ports. 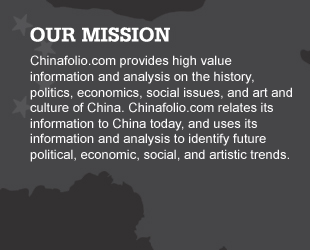 In 1997, China reestablished control over the region when Britain’s lease on the New Territories expired. Britain had hoped to negotiate an extension to the lease but met with resolute opposition. Though Kowloon and Hong Kong Island had been ceded to the British “in perpetuity” it was felt that keeping them would not be practical if the New Territories were returned to China. 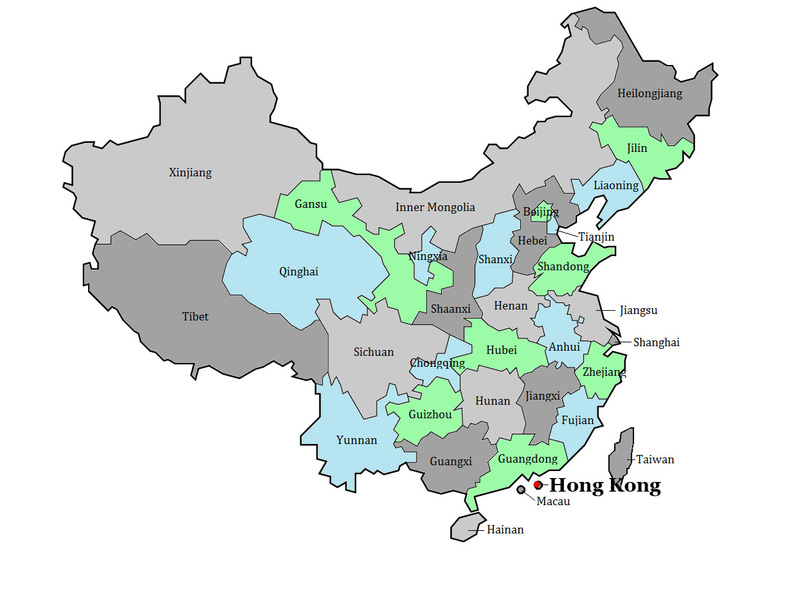 China now governs Hong Kong as a special administrative region under a “one country, two systems” policy. As part of this policy, Hong Kong is allowed a multi-party political system, an independent judiciary functioning largely under a Common Law framework, and a high degree of autonomy except in matters of foreign relations and military defense. Nevertheless, its democracy is tempered by a high degree of input from the mainland government, which is still responsible for appointing Hong Kong’s chief executive. With a highly-advance, low-tax, market economy, Hong Kong has been described one of the best example of laissez-faire capitalism in the world. Every year since 1995, the Index of Economic Freedom has ranked its economy first in terms of the freedom of its trade, business, investment and property rights. It has a solid banking system, little public debt, a good legal system which helps enforce its strict anti-corruption policies and good foreign exchange reserves. It is a full member of the World Trade Organization. 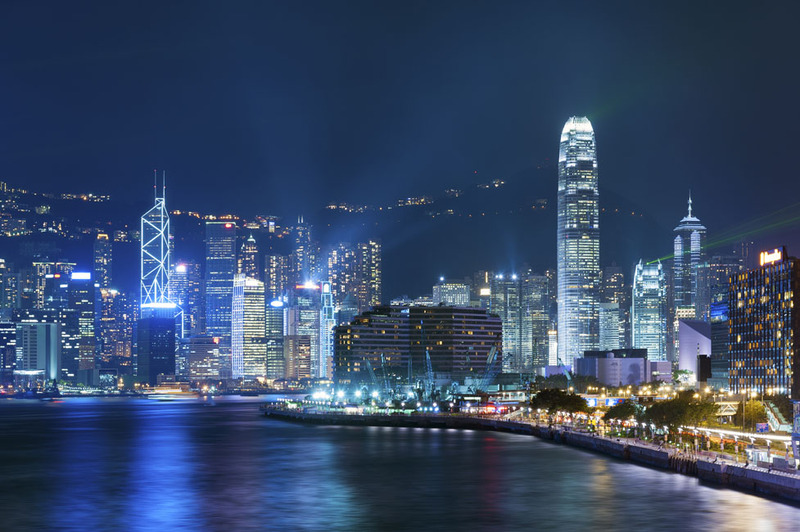 Hong Kong has an annual GDP that has exceeded $210 billion. Agriculture constitutes less than 1% of this figure. Only 6% of Hong Kong’s land is arable. Many of its original fields have been reclaimed over the years for other uses. Its primary agricultural and aquaculture products include flowers, vegetables, fruits, taro, sweet potatoes, yam, sugarcane, fishing and pond fish farming. It also raises some pigs and chickens. From the 1980s onward, Hong Kong’s economy began shifting to a service based economy as lower cost labor became available in mainland China as the result of China’s 1978 market reforms. Manufacturing now makes up only a small percentage of its GDP, although some textile, electronics, steel rolling, machine parts, plastics and cement manufacturing still occur within the special autonomous region. Instead, Hong Kong now generates the majority of its GDP from management, financial, IT, business consultation and professional services. It also has large tourism and retail trade industries. Today, Hong Kong’s near free-trade policy has led it to be one of the world’s great trading centers, and its port ranks among the top five in the world in terms of containers received and shipped. With limited land and natural resources, Hong Kong imports almost all of its food as well as most of its raw materials and fuel. Since the 1980s, Hong Kong has also increasingly imported the majority of its capital and consumer goods. There are no tariffs on most imports with the exception of some luxury goods. It is also one of the world’s largest re-export centers. The Hong Kong Stock Exchange ranks among the top 7 in the world, with a market capitalization that has reached $2.9 trillion and the Hong Kong dollar is one of the top ten most traded world currencies. As a result of its steep terrain, less than a quarter of Hong Kong’s land is inhabited, and almost two-fifths of its land is park and nature reserves. Despite its large uninhabited areas, Hong Kong has been experiencing growing air pollution, whose effect is often made worse by its hilly topography and high skyscrapers. The majority of the air pollution is blown in from the Chinese mainland, primarily from the Pearl River Delta. An impressively diverse array of religious places of worship dot Hong Kong Island including Man Mo Temple – started in 1847 by Chinese merchants and dedicated to the gods of war and literature; the Daoist Pak Tai Temple, the largest on Hong Kong Island; the 1849 Anglican St John’s cathedral; the Khalso Diwan Sikh Temple; the Hong Kong Catholic Cathedral of the Immaculate Conception; the Jamia Mosque, the Ohel Leah Synagogue and the Kwun Yam Shrine. 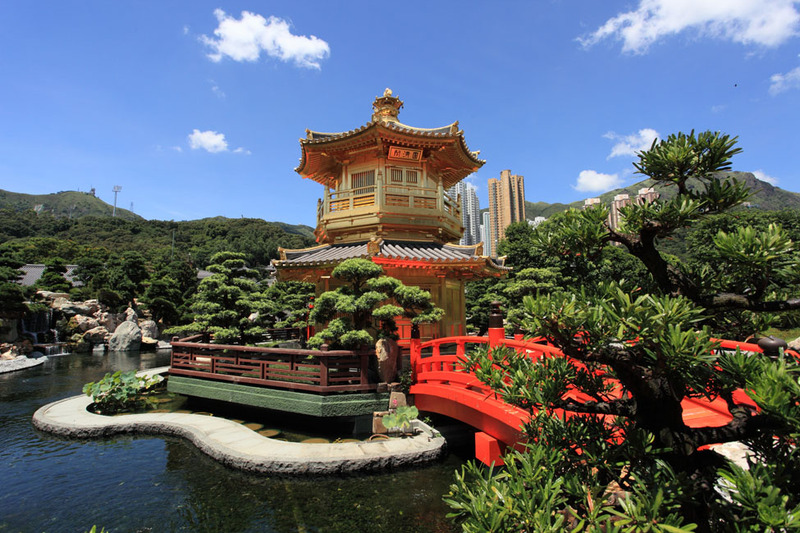 A number of parks and beaches make a good counterpoint to can be Hong Kong Island’s highly vibrant urban landscape- Hong Kong Park; the 100 year old Hong Kong Zoological & Botanical Gardens, Victoria Park, Stanley Beach and the beaches of Repulse Bay. Also of interest is Hong Kong Island’s Dr Sun Yat-sen Museum. Dr. Sun Yat-sen is considered the father of modern China. Housed in a 1914-era mansion, the museum showcases aspects of his life, with particular focus on his life in Hong Kong. A visit to Hong Kong Island’s Happy Valley Racecourse can offer a classic Hong Kong evening-pounding horses, good drinks, and often highly excited audience encouraging their charges forward. Crossing to Kowloon via the Star Ferry provides great views of Hong Kong Island. These views continue along Tsim Sha Tsui East Promenade. The Promenade also is a good viewing platform to see the Symphony of Lights – a laser show cast from the tops of Hong Kong’s skyscrapers. Kowloon has two excellent museums. The Hong Kong Museum of History covers the History of Hong Kong from its prehistoric past up to its return to mainland control in 1997. 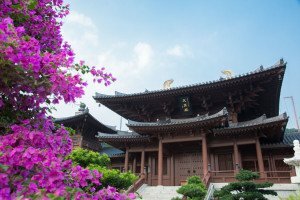 Kowloon’s Hong Kong Museum of Art houses an excellent collection of Chinese paintings, antiquities, calligraphy and modern art. 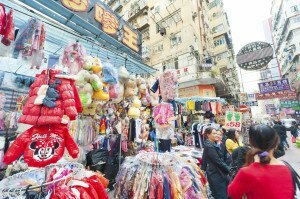 Kowloon’s Temple Street Night Market hawks everything from pirated luxury items to clothing to eclectic artifacts. Opera Performances and fortune tellers add to the Market’s atmosphere. 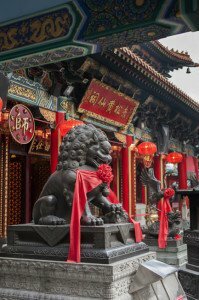 Another great Kowloon shopping experience is the Jade Market which has hundreds of stalls selling all grades of Jade; nearby Shanghai Street is also packed with stores selling incense, embroidery, Buddhist mementos amongst many other goods. 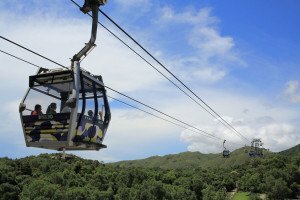 The New Territories’ offers a chance to experience Hong Kong’s rural life away from the bustle of the Hong Kong Island. Sai Kung Peninsula, for instance, is home to an extensive nature preserve offering excellent hikes. It is also home to the tiny traditional fishing village Po Toi, and to Sai Kung Town where excellent seafood restaurants pepper its waterfront. At Sai Kung Town, sampan’s can be rented to boat to nearby islands and beaches. Equally beautiful is the New Territories Mai Po Marsh Nature Reserve, a 380-hectare stopping ground for over 380 species of birds. The Hong Kong Wetland Park offers 60 hectares of hiking and bird watching. The Hoi Ha Wan Marine Park still has thriving coral which can be explored snorkeling and kayaking. During the Ming and Qing Dynasties, The New Territory area of Hong Kong was often attacked by pirates. As a result, many of its villages built walls to protect themselves from the marauders, many of these villages housing just one extended clan or family. Some of the New Territories’ most famous walled villages include Kat Hing Wai built in the 17th century as a family stronghold for the Tang family; Shan Ha Wai, constructed over 20 years beginning in 1848 as a stronghold for the Tsang Clan; Sheung Shui Wai, built for the Liu Clan in 1646 complete with a still visible moat; and Fanling, built by the Pang Clan who immigrated from Fujian to Hong Kong during the Song Dynasty; Fannling is defended by watchtowers and cannons. The 4.5 km Lung Yeuk Heritage Trail, northeast of Fanling, wanders through an additional five walled villages. In total, Hong Kong is home to over 45 walled towns. Hong Kong has over 230 outlying islands and islets. Most are accessible by frequent and inexpensive ferry services; the smaller and more remote require the rental of a boat. Many of the islands are home to rustic fishing villages and monasteries. With the exception of Lantau, the islands are car-free. 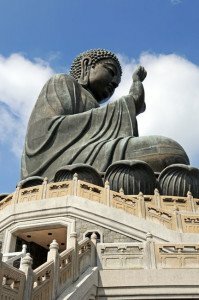 Lantau is the largest island and hosts both idyllic beaches as well as attractions such as Disneyland and the Po Lin Monastery, which has the world’s largest seating Buddha. Lantau’s Tai O village provides a glimpse into life in a traditional fishing village, complete with stilted houses and temples dedicated to the water gods. Cheung Chau, a small island off Lantau, used to be a pirates’ den, but now as an active fishing fleet and is full of windsurfers, sunbathers, hiking trails, and good seafood restaurants. 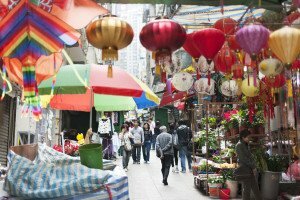 Lamma Island, which is great for seafood, hiking and beaches, has been known as home to a large Western hippy community, but is increasingly populated by executive expats keen to live away from the bustle of the city. With all vehicles banned (except for a handful of government-run ‘island vehicles’ that conduct maintenance), the island is a great antidote to hectic life in the city. Peng Chau is more rustic than the other islands –restaurants are cheaper, and it has an off-the-beaten-track feel. The Po Toi islands, around 3km south of Hong Kong Island, are an archipelago, with only Po Toi Island being inhabited year-round. During the fishing season, the archipelago’s population swells to as many as six thousand. Tap Mun Chau, also known as Grass Island, has about 100 residents, mostly fishermen and is known for its peaceful isolation and the quality of its seafood restaurant made famous by the patronage of Hong Kong’s last governor, Chris Patten. Kwo Chau islands, located to the east of Hong Kong Island, have fascinating coastal scenery due to the geological processes of weathering and erosion.